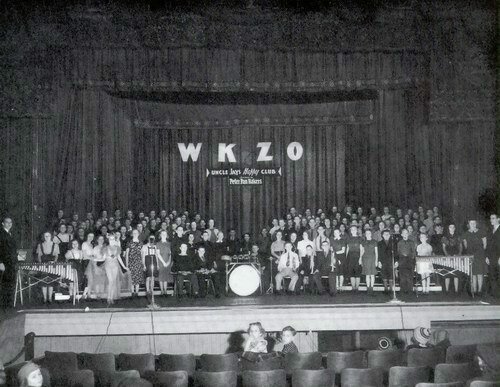 The Kalamazoo State Theater showed movies until 1981 and then closed until 1983 or 1984 when it started doing concerts. My grandfather, name: Clyde F. Hinckley Sr. played the magnificient organ that rose up out of the floor at the beginning of the (then) silent movies then throughout the entire movie. He died in 1980 and was layed to rest at Riverside cemetary, also in Kalamazoo. I have a B&W photo taken of the Capitol taken in 1972 when I worked there briefly; also one of the stage taken from the balcony. Will get them to this site soon! I remember a tale that the Capitol was even haunted by the spectre of a former doorman. There were a few times in there I didnt doubt it a bit. My memories of the Capitol are warm ones, with Manager Edwin Hochschilde and the rest of the crew--very nice people indeed. 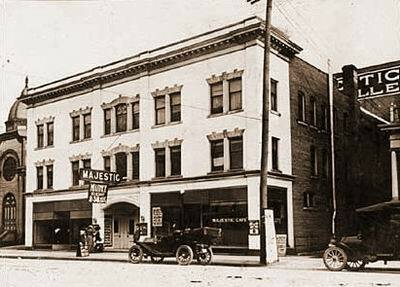 I have a photo of the former Majestic/ CAPITOL theatre from possibly mid 30s. I would like to have it included with this theatres history page here. also have some color pictures of the STATE Theatre marquee (taken in 1999), and some inside. I am also on the search for color pictures of the CAPTIOL theatre in the 50s when it had a large yellow V marquee. I can still remember the flashing neon. The date this theatre went down was 1977, not 1974 as your site says. Midway in SENSURROUND was the last picture to play there. This was Midways re release, second time around, it had already been shown at Maple Hill Cinema (now also gone, originally a twin, it went triplet in 78) in Sensurround when the film was released. Thru the mid - later 70s most of the pictures played here were the Blaxploytation pictures of the 70s, Hell up in Harlem, Leadbelly, Claudine, Foxy Brown ,Sparkle, are a few I remember being screened there, also Enter the Dragon and such type of pictures played. The State, located a couple blocks away was still trying to struggle with first run films at this same time, the mall twin plexes were becoming the rage, and so the Capitol went down, (76-77) and the State stopped showing movies in approx 84 and has been converted into a concert venue. At the turn of the century Kalamazoos movie theater scene was dominated by small storefront theaters such as the Colonial, Queen, Wonderland, and Vaudet. 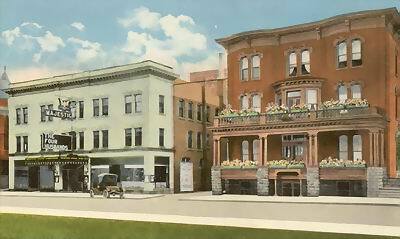 Then in 1906 Col. Butterfield came to Kalamazoo and built the first large movie theater, the Bijou. Not satisfied, only a year later he built the Majestic on South Street. 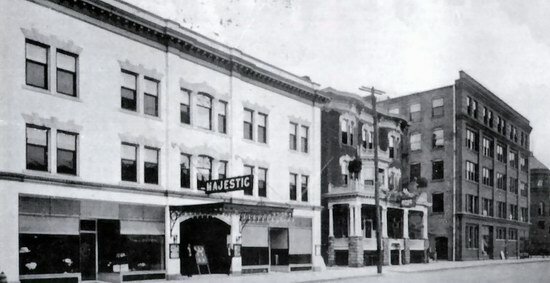 The Majestic would serve as a first-run house for many years. It was later renamed the Capitol but continued under Butterfield management. Outliving most other downtown theaters, the Capitol closed in 1974 when its land was needed for a parking garage.